Expanding on the theme of his dynamic book Breakthrough Prayer, Apostle Guillermo Maldonado explains how to fast to break through with divine power for overcoming obstacles and advancing the kingdom of God. 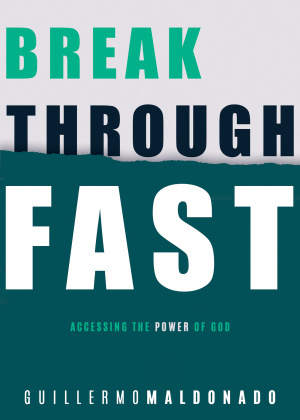 Breakthrough Fast by Maldonado, Guillermo was published by Whitaker House in December 2018 and is our 40938th best seller. The ISBN for Breakthrough Fast is 9781641231657. Be the first to review Breakthrough Fast! Got a question? No problem! Just click here to ask us about Breakthrough Fast.